Microsoft Corp is cooler than you might think.A Reuters/Ipsos poll found that just under half of 853 respondents between the age of 18 and 29 thought Microsoft is cooler now than it was a year or two ago. The software maker, often derided in Silicon Valley for failing to dream up products that captivate a new generation of social media and mobile savvy consumers, managed to pip Facebook Inc in the survey — only 42 per cent of young adults thought the world’s largest social network is cooler now than in the past. Twitter scored 47 per cent, below Microsoft’s 50 per cent. Part of Microsoft’s lift appears to stem from a well-coordinated marketing blitz around its all-new Surface tablets, which have revamped the familiar Windows interace with a tile-based, mobile app-friendly look and feel. Its Xbox gaming console and “Kinect” accessory, which can respond to gestures and voice commands, has in the past year also burnished its image around younger consumers. Josh Johnson, a 24-year-old media arts student at the University of South Carolina and self-professed gaming aficionado, said he has been impressed with Microsoft’s consumer-oriented push with Windows 8. Apple Inc, despite falling out of favour with many Wall Street investors, still scored well in the Reuters/Ipsos poll, the first in a series that aims to measure brand perception and usage over time for major consumer tech brands. About 60 per cent of 18- to 29-year-old respondents still thought Apple was cooler now than in the past. But Google Inc’s Android brand did even better, with a full 70 per cent giving it the thumbs up. Although “coolness” remains, at best, an amorphous concept, consumer perceptions are pivotal in determining the longevity of products, particularly in the fast-moving consumer electronics industry. Microsoft dominates the personal computing industry and is still far larger than most other tech corporations on the planet. 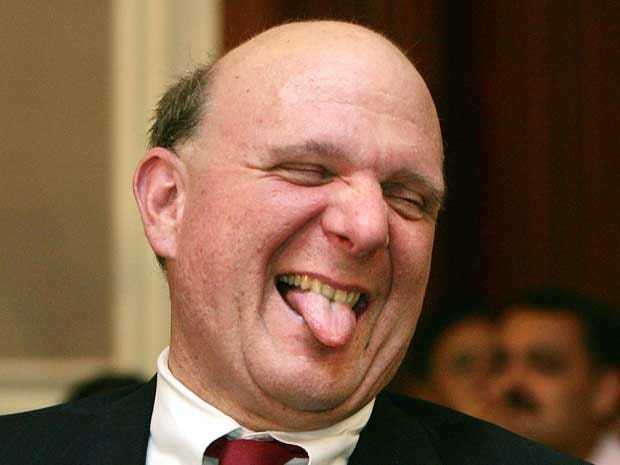 But it has seldom won plaudits for cutting-edge consumer technology and its share price has plateaued for a decade under CEO Steve Ballmer’s watch. Apart from Xbox and Kinect, Microsoft’s past is littered with failed attempts to conquer the consumer gadget marketplace, from clunky early tablets and wrist-watch computers to the Zune music player and Kin phone. Gartner estimates that Microsoft sold fewer than 900,000 Surface tablets in the fourth quarter, a fraction of the 23 million iPads sold by Apple. Windows phones now account for 3 per cent of the global smartphone market, Gartner says, far behind Google’s Android with 70 per cent and Apple with 21 per cent. The poll of about 4,800 people produced fewer surprises in other areas. In social media, 90 per cent of 18- to 29-yearolds said they log in to Facebook, including 54 per cent who use it “continuously throughout the day.” Nearly 30 per cent of respondents in their 50s, and 18 per cent of those over 60, also say they use it nonstop. Facebook’s usage figures dwarf those of Twitter and Tumblr, as well as new kid on the block Pinterest, the visual “pinboard” sensation. Despite its influence in media discourse, 50 per cent of young adults say they do not use Twitter. By comparison, 58 per cent said they do not use Pinterest and 68 per cent said they do not use Tumblr. Harley Pruitt, an 18-year-old high school student in Newnan, Georgia, said Facebook remains the only social network she logs onto because it’s the easiest way to contact friends from many years ago, while other social networks feel less accessible. The poll, which will be repeated in coming months, included responses from 4,798 people surveyed between February 5 and February 19. The data is collected online from a pool of pre-screened candidates. The accuracy of the poll is measured using a survey technique called a “credibility interval” and is precise to within 1.6 percentage points. Among the young adult aged 18 to 29 subset, the credibility interval was 3.8 per cent.